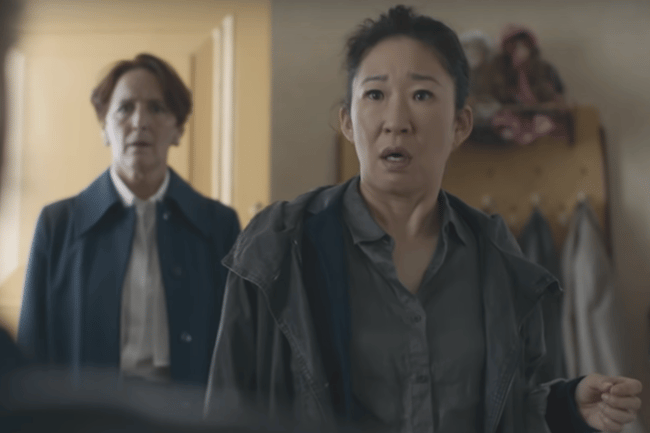 Killing Eve season 2 Australia release: What you need to know. The wait is almost over. Killing Eve season 2 will premiere in Australia next month. Killing Eve fans – grab your phone, your diary or your old-school desk calendar – because you’re going to need to mark Monday, April 8 as a very important date. Yes, in just three weeks time Killing Eve season two will premiere and bless the ABC, who are fast-tracking the episodes so we in Australia don’t fall behind the rest of the world. The second season’s premiere will be available on ABC iview on April 8, and then the rest of the series will be available weekly from Friday, April 19. In case you need to jog your memory, the cat-and-mouse thriller stars Oh as a MI5 intelligence agent hunting psychotic assassin Villanelle (Jodie Comer). It was undoubtedly one of the best new shows of 2018 and led to a Golden Globe win for lead Sandra Oh. The second series picks up just 30 seconds from where series one ended and we’ll discover the fate of Villanelle as she *spoiler alert* stumbles through Paris nursing a stab wound inflicted by Eve. If you’re yet to watch the show or just want to watch it all again (because yes, it’s that good) series one is available to watch on ABC iview.